Are you an adult or child with ichthyosis? Are you a parent and have a son or daughter with ichthyosis? If so, you need to know about this very important treatment. I believe that it is the best thing for any individual who lives with ichthyosis. I was born a collodion baby and lived with lamellar ichthyosis all my life. In almost 40 years of trying new treatments, which can be very costly, nothing compares to this free treatment! I am happy to try my best to share my experience with you. I say "try" because words cannot describe how much I love it! The treatment is one week at what I call "the best place on earth," and that is "Camp Horizon," held on the grounds of Camp Victory in Millville, Pennsylvania. This past August was my 13th year attending this amazing camp for children ages 8 - 13 who have a skin disorder. Unfortunately, when I was a child, there was no such thing as a camp for kids with skin disorders that I could go to. Therefore, I cannot tell my experience of attending camp as a child, but I can share with you that I wish there was one when I was a child because each year I see these kids meeting other kids their own age with ichthyosis and also adults with ichthyosis. I can see the excitement in their eyes and smiles on their faces. I have the privilege of seeing them included in so many fun activities such as swimming, arts and crafts, and archery to name a few. I feel honored to see them show off their talents on the evening of the Camper Talent Show. Since I have been going to camp for many years, I've seen several kids come back year after year knowing that they are not alone and making lifelong friends. I have seen 13-year-old kids graduate and then return to camp when they reach the right age to be a staff member, which proves to me that it had an impact on them as a camper. Sometimes, I wonder what my life would have been like if I had the opportunity to be a camper, but going to Camp Horizon as an adult has still changed my life forever. I can honestly say that I have made not only lifelong friends, but also most of my best friends are camp friends, and some of them are what I also call my "angel" friends. Have you ever heard that you can learn a lot from kids? Well, let me tell you that is so very true! I have also found some really cool dermatologists who don't treat you like a guinea pig, but rather are out there to have a great time and be a friend instead of a doctor. Camp has helped me to grow and has also helped me to deal with my ichthyosis. It helps to know that you are not alone. Living with such a rare disorder can be very trying at times. I will admit that there have been times when I have gotten depressed about having ichthyosis, but now, if that starts to happen, I try to think about camp and it helps. Camp Horizon is the one and only thing that I really and truly look forward to every year! I could go on and on about camp, but I think I'll stop here or else I'll never stop. Again, words cannot express what camp means to me. Before I go, I do want to say a couple of quick things. One is that if you are a parent of a child with ichthyosis, please give your child the opportunity that I did not have and send them to Camp Horizon as a camper. Camp is a safe place for them to just be kids and have fun. It is a place where everyone counts as a normal human being, a place where lifelong friends are made, and a place where wonderful memories last forever. If you are an adult with ichthyosis, remember it is never too late to join the Camp Horizon family. Yes, family, that is exactly what it feels like. Trust me, it will change your life in many ways. Also, I want to thank the Academy of Dermatology who pays all the expenses, including staff and camper flights, etc. Their generosity gives everyone a chance to attend camp for free. Last but not least, I want to give the biggest "Thank You" to not only one of my best friends, but also one of my "angel" friends who has helped me and many others. His name is Howard Pride. He is the one who started this wicked cool camp! Without him, Camp Horizon would not exist. So hey, "Thanks, Howard." I have one other thing to say and that is, "Hello to all Camp Horizon campers and staff! I miss you all, and I look forward to seeing you again at Camp Horizon 2009." Note: Camp Horizon is one of the camps under the umbrella of Camp Discovery. Camp Discovery offers campers the opportunity to spend a week among other young people who have similar skin conditions. 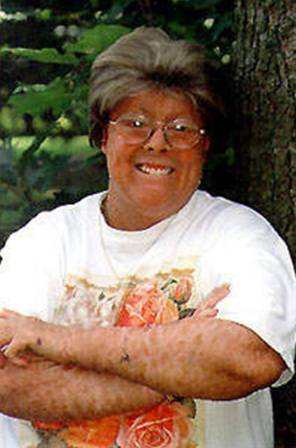 Many of the counselors have serious skin conditions as well, and can provide support and advice to campers. The camp is supervised under the expert care of dermatologists and nurses. For additional information visit the Camp Discovery website.